Comments: This 2019 Hyundai Elantra is Priced Below Average Market Price in your area and is offered with Transparent Pricing only at Centereach Hyundai Great options including, Rear Cross Traffic Alert, Traction Control, Stability Control, Backup Camera, Power Door Locks, Blind Spot Monitor, Brake Assist, Audio Controls On Steering Wheel, Child Safety Locks and Antilock Brakes. The exterior color is Silver with a Black interior. Take advantage of the applied rebate Retail Bonus Cash: 1750.00 before it expires. You may qualify for additional savings including Military Incentive: 500.00, HMF Low APR Bonus Cash: 500.00, Lease Bonus Cash: 1500.00 and Hyundai 2019 Valued Owner Coupon: 500.00. 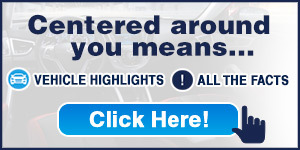 At Centereach Hyundai we are centered around you!